DX05 HYW: A SCANIA P94DB-300/BRONTO F32RL/ANGLOCO ALP. 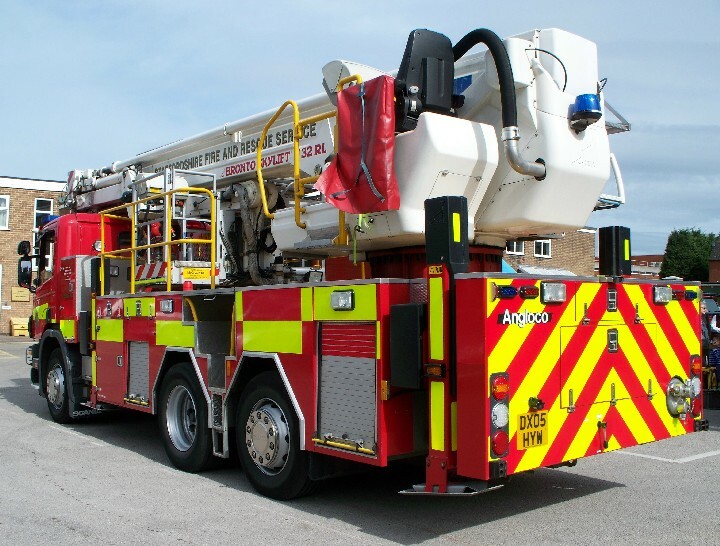 This appliance is stationed at Burton-upon-Trent in Staffordshire. Its twin sister (DX05 HYY) is stationed at Longton in Stoke-on-Trent. A slip of the finger/brain: Trent 6's twin sister is DX05 HYV. Sorry about that! Added by Yelp Bullhorn on 06 May 2008.